I am watching this video and it is quite interesting. Maybe it was posted before but the forum seacher didnt show it. 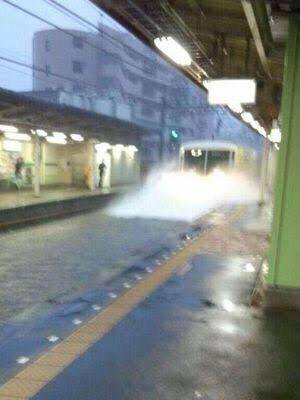 That is amazing to watch the trains go through the water and the people non challantly getting out of the way. Would be hard to model the submerged tracks and have them be usable. Good way to short out the motors.